Ingconsult Ltd. with a new partner from Germany | Ştiri | Ingconsult Ltd. The German company Stehr Baumaschinen GmbH is the new partner of Ingconsult Ltd. Stehr was established in 1983г. and it is one of the german companies with the most registered patents. 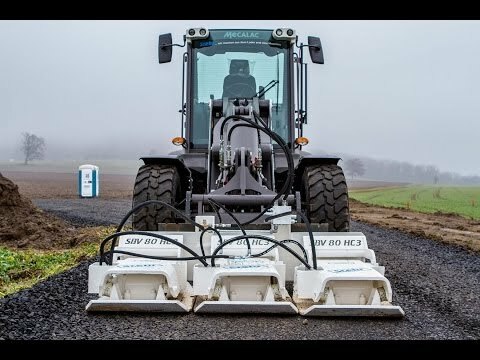 It is the first company in germany, which starts to deal with the problem of the processing and recycling of excavated soil. nbsp; The company employs a highly qualified staff, who is dedicated tothe design and manufacture of best - special machinery for road construction and earthworks. The product design. is focused on improving the workflow, which reduces the energy use and also reduces the exhaust emissions. Stehr produces cold recycling equipment, compaction equipment, manhole cutters, soil-stabilization equipment and other attached equipment for wheel loaders, graders, excavators and so on.